There has been an increasing amount of research examining the general benefits of exercise training and physical activity as part of a healthy lifestyle in MS. Physical activity may be protective against developing MS, and meta-analyses and systematic reviews indicate that exercise training can improve aerobic and muscular fitness, fatigue, depression, walking, balance, cognition, and QOL in MS. There may be additional benefits on structures within the CNS (e.g. hippocampus), sleep quality, and cardiovascular/metabolic cormorbidity. Exercise has been associated with reduced rates of MS relapses and slowed disability progression. The evidence base has yielded guidelines for prescribing exercise behavior in patients with MS who have mild or moderate neurological disability that can be implemented within comprehensive MS care. populations such as breast cancer survivors. This paper reviews Social Cognitive Theory as an example approach for informing interventions for increasing exercise and physical activity behavior outside of MS and provides an overview of current knowledge regarding the application of this theory for physical activity in MS. We then outline future research necessary for informing trials that design, implement, and test theory-based interventions for physical activity promotion in MS. If theories of behavior change are adopted for informing exercise and physical activity research in MS, we can take a major step forward in addressing the problem of exercise and physical activity participation that has plagued the field for more than 25 years. Thanks for posting this Dave! It is good to see that scientists are trying to decipher the barriers MSers have to excerise and ways healthcare can encourage excercise. But I will admit, I snorted a laugh when I saw TUS was identified as a barrier requiring more research (the theory about Unpleasant Symptoms) Maybe just strap additional 5 lbs of weight on researcher's limbs for each exercise repetition until the researcher just lays flat on mat. That may help researchers understand how TUS impacts MSers not achieving their exerise goals better than any theory.... just sayin'. I am, however, encouraged to see in the article that goal setting was identified as a valuable key to MSers participation in exercise and that body worn devices assist in meeting goals. 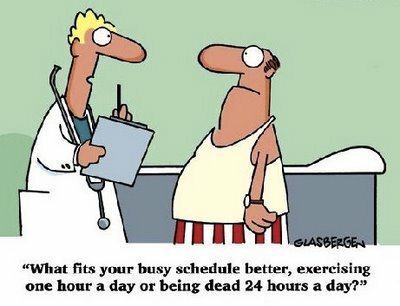 More reasons to get a fit bit or like device! And belong to ActiveMSers . Seriously, if one decides to exercise and finds it daunting, just knowing that goal setting has been found in MSers to make the difference IS reassuring! Yay! I will note that I'm not sure looking at breast cancer survivor exercise participation rates and methods was necessarily the best instructor on how to get MSers active. Psychologically, a breast cancer survivor and a MSer are in different places existentially. Perhaps looking at groups with juvenile diabetes or heart bypass patients and determining what and how gets them to consistently exercise may be more relevant to our population. ??? Group exercise would be a good way to encourage exercise for MSers. I participate in a weekly group program for people with MS that includes 45 minutes of exercise. Although the participants aren't necessarily doing the same exercises at the same time (like a yoga class), it is still motivating for me. Two physical therapists work with us and each person goes through the 45 minute session at their own level of ability. It's very social and fun too which is a plus. Having the right environment, whether you're exercising at home or at a gym is very helpful. At a minimum, even doing some stretching or getting on a stationary bike while you're watching TV is beneficial. It's just important to stay active. Dave, after clicking on the link to the article, it loaded as "untitled" and then disappeared when I moved my mouse across it. And there is a link in the right-hand nav channel to download the pdf or display the full article.